Joe Schmidt lamented that Wales got a heads-up on the Ireland team after Saturday's heavy Six Nations defeat and a new book claims that leaks have been high on the IRFU's agenda for quite some time. In fact, the union was so worried by the reporting of a post-2007 World Cup meeting that they hired a former British military intelligence officer to investigate the source of the leaks, the book, Client Confidential, claims. 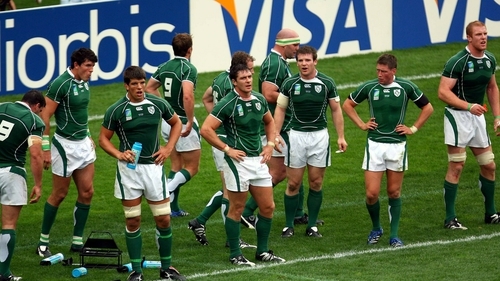 The details of a 2008 meeting to discuss what went wrong in France the previous year, when a fancied Ireland side failed to emerge from the pool stages after unconvincing wins over Namibia and Georgia and defeats to France and Argentina, were widely reported in the media. That led to the former spy, who uses the pseudonym Seán Hartnett, being brought in to use his expertise to determine the source of the leaks, which he found were likely the result of a mobile phone recording by one of the people at the meeting. After issuing his report to the IRFU and ahead of a subsequent meeting, Cork-born Harnett says he told board members: "Before this meeting began, I carried out a full sweep of this room … If anyone so much as turns on a mobile phone, I’ll know about it." The IRFU said Hartnett "fictionalised" their dealings with a credible risk-assessment company and that they had employed company to "conduct a wide ranging risk assessment of the then newly occupied IRFU headquarter’s building, IT systems, hotel accommodation, meeting facilities being used by the Irish team and IRFU". The book also claims that Hartnett was told to warn incoming coach Declan Kidney, who took over in the summer of 2008, from Eddie O'Sullivan. "Officially, the briefing was to inform them of dangers involving information security," he wrote. "Unofficially, it was to tell [Kidney] that not all his enemies were outside the walls of the IRFU HQ." Hartnett also claims he was able to enter the union's Ballsbridge offices by getting his hands on an employee's electronic pass and once inside was able to access a room "where player information, including salaries, was openly on display. "I now knew how much Paul O’Connell [the former Ireland captain] was earning. "As I walked around the building that morning, picking up information as I went, not one single person asked who I was or what I was doing." O'Sullivan, who departed his role after the 2008 Six Nations, said he was unaware of the operation. "I was interviewed as part of the Genesis report [an overall review of the World Cup performances], nothing more than that," he told RTÉ Sport. "I never head anything about these reports. Whatever discussions were had were nothing to do with me. I didn't even have an office the IRFU building."